Summer is underway here at Hofstra, and while many students have left campus to pursue summer jobs or internships elsewhere, the Class of 2017 is arriving little by little each week for New Student Orientation. There are eight sessions of Orientation that run from Tuesday to Thursday every week. Our staff of 20 student Orientation Leaders have already led two groups of 250 new students around the university to ensure the incoming class is prepared and feels well-equipped to navigate Hofstra in the fall! During Orientation, students are introduced to a variety of campus resources and departments to help educate them about all that Hofstra has to offer. This includes everything from campus safety to getting involved in clubs and activities, and even a model class based on this year’s common reading book, The Good Food Revolution, by Will Allen. The model class is taught by a university faculty member and lets students get an idea of how a college class session will feel. This year, the focus of the common reading follows a campus-wide initiative on sustainability. Students can even spend an hour working in a vegetable garden during their time at Orientation to further their environmental involvement! Although Orientation is only three days long, it is jam-packed with important information for new students. Furthermore, the program provides an exciting glimpse into the life of a Hofstra student. New students have the opportunity to meet friends, sign up for clubs, and get a taste of living in a college residence hall. We’re looking forward to welcoming the rest of the Class of 2017 as the summer continues! 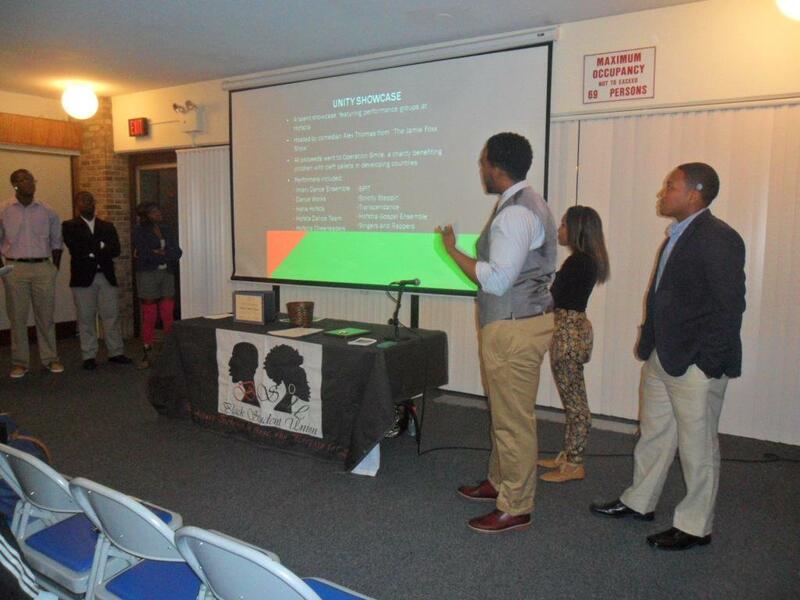 The Black Student Union is dedicated to serving students of all different cultures on Hofstra's campus, as well as uplifting members of the community. This past year, The Black Student Union has promoted several events that has brought Hofstra's community together. The organization is well known for their "Real Talk Series" which provides the opportunity for students to get together to discuss relevant issues revolving around social justice. In the past year, some of the topics discussed include: "When two Paths Cross; Martin Luther King and Malcolm X", "The Aftermath Of the 2012 Election", and "Renaissance Woman". One of our memorable and noteworthy events is the annual celebration of Kwanzaa, where all members of the Hofstra community are invited to learn about the cultural celebration of Kwanzaa while enjoying a holiday feast at the end of the school year. Another would be the "Unity Showcase", where several of Hofstra's Organizations come together to display their talents with all proceeds collected going to charity. 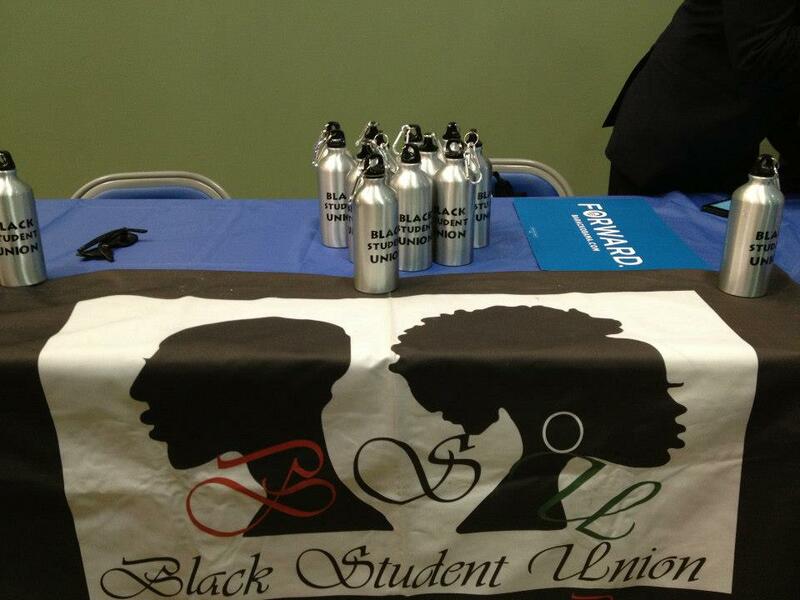 The Black Student Union is dedicated to building and maintaining community both off and on campus. 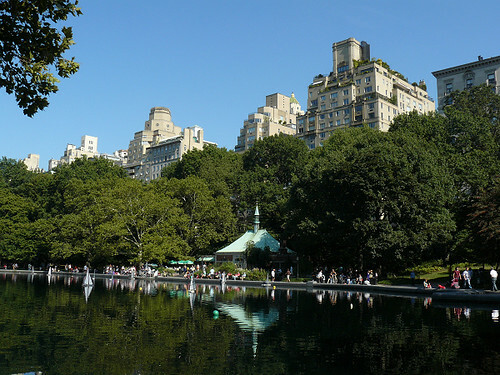 Some community service projects that have been worked on include: "Light the Night Walk", "Produce in the Projects", "Breast Cancer walk" and "New York Cares Day". The members of Black Student Union are dedicated to creating programs that are enlightening, informative and fun for students. We are proud winners of the 2012 and 2013 Cultural Club of The year awards. We look forward to continuing the work that we do to bring unity and build community on campus. 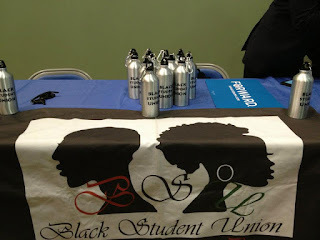 Guest Blogger, Laury Matos, President, Black Student Union. 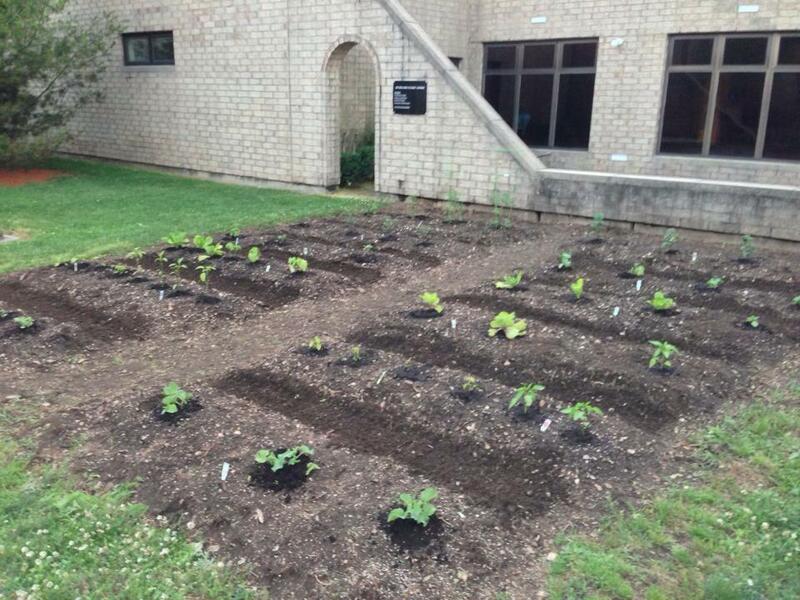 The Netherlands Garden at Hofstra University is being utilized this summer as a pathway to discover how we can all create, grow, and harvest vegetables in our own backyard through leading more sustainable lifestyles. 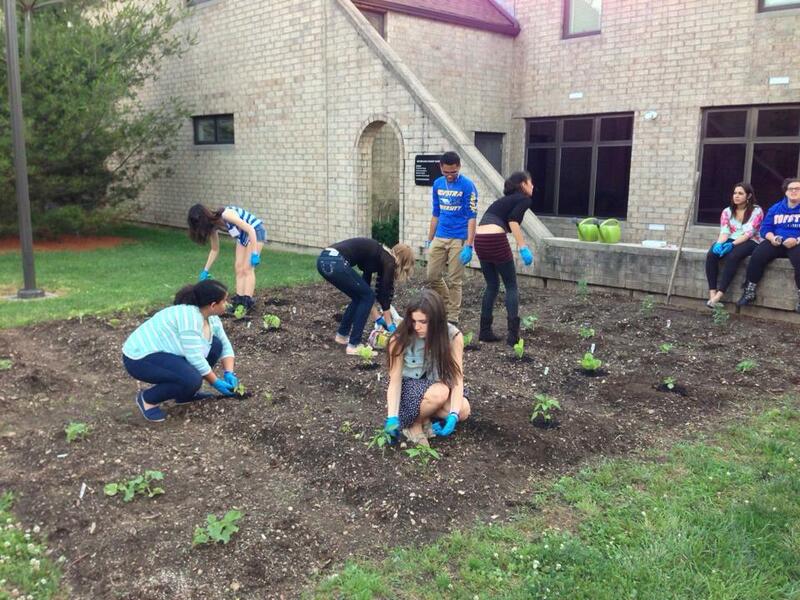 Alongside Orientation Leaders, incoming first-year students will be maintaining the garden all throughout the summer. Already, a dozen students have been busy during Week 1 removing weeds, laying down new top soil, fertilizing, and watering our garden! By the end of the summer, we hope to have a beautiful, flourishing vegetable garden with a bountiful harvest of tomatoes, cucumbers, melon, lettuce, and peppers! Additionally, students will be able to carry these lessons forward to future involvement in sustainable initiatives at Hofstra come Fall 2013. 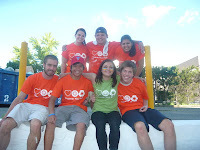 The Purpose of Intervarsity Christian Fellowship is to establish and advance at colleges and universities witnessing communities of students and faculty; all in response to God’s love, truth, and grace. Our vision is to see students and faculty transformed, campuses renewed, and world changers developed. In order to improve the current reality of our campus, we must work in simple steps to achieve our future reality. 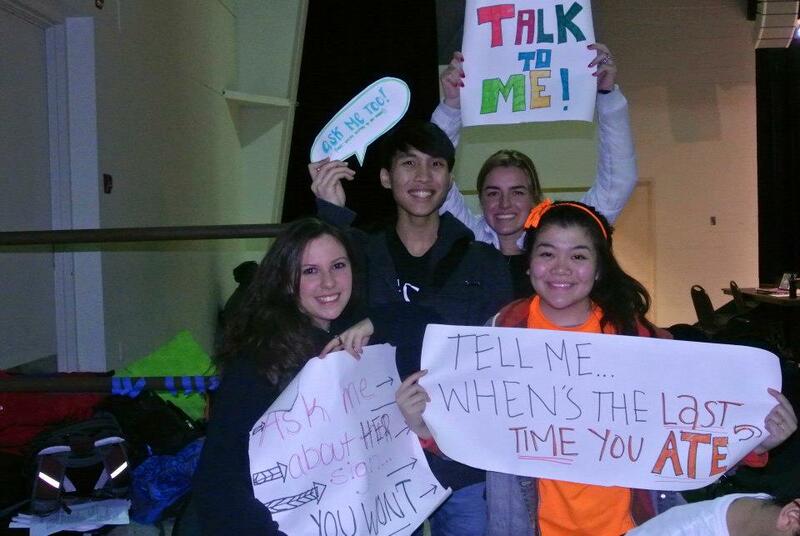 A few ways Intervarsity has taken that next simple step is through our campus events. For example, the fellowship hosted an event called, “Mythbusters: The Truth About Sexual Assault.” This event allowed for students to express their emotions towards sexual assault in song, spoken word, poetry, and dance while informing their peers of the shocking statistics. Intervarsity cares for its community on and off campus; so when Hurricane Sandy hit, Intervarsity was ready to lend a helping hand. We held an event titled, “Hope for Sandy” which included a concert to raise funds that would aid the victims of Sandy to reconstruct their homes, and reestablish hope in their hearts. The fellowship strives to fight against injustice. As one of our core values defines, we pursue ethnic reconciliation by practicing mutual empowerment, grace, and truth, by promoting personal and systemic justice. 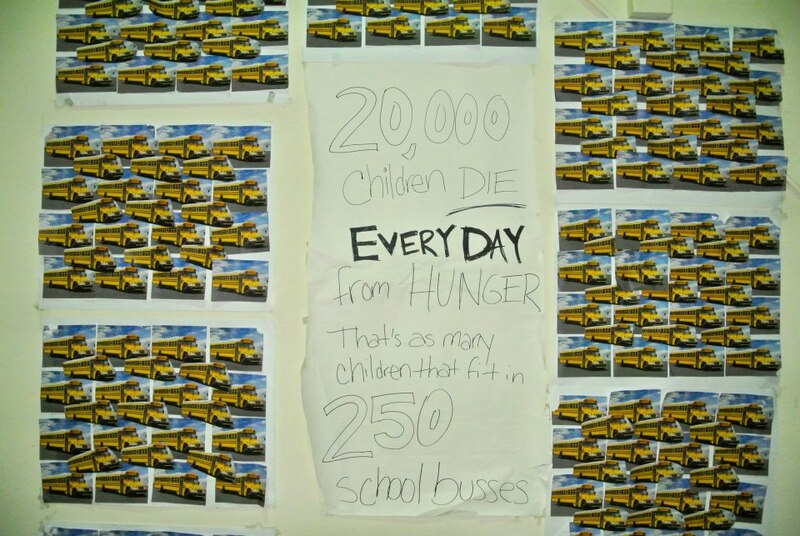 This past year our hearts were placed on fighting against world hunger. 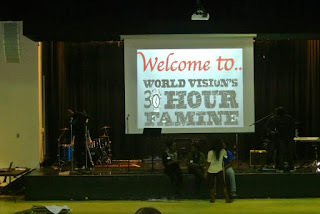 In our event, “30 Hour Famine,” participants fasted for 30 hours; representing the average time between meals for a child living in a third world. All the fundraising money went to an organization called World Vision. Additionally, participants went out on service projects including, making and handing out care packages to children at local hospitals, feeding the homeless, visiting nursing homes, and cleaning local parks. There were also games and a concert which featured, Christian rapper, Andy Mineo. Through the Famine, individuals made a personal choice to take a stand; they experienced hunger firsthand and went without food so others don’t have to. 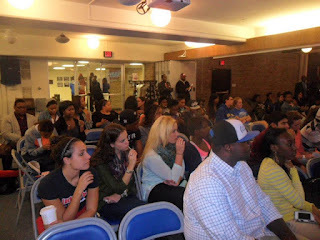 The fellowship also created the “Hofstra Freedom Movement” which raised awareness of slavery and human trafficking. Intervarsity held a free screening of "Nefarious: Merchant of Souls" and a Q&A panel with NYS Judge, Pretrial Service Officer, Non-profit org, and missionary. We also encouraged students to join us in standing for freedom. We stood for 27 hours for the 27 million in slavery today. The goal was to spread the word that slavery is real, but that together we can end it. 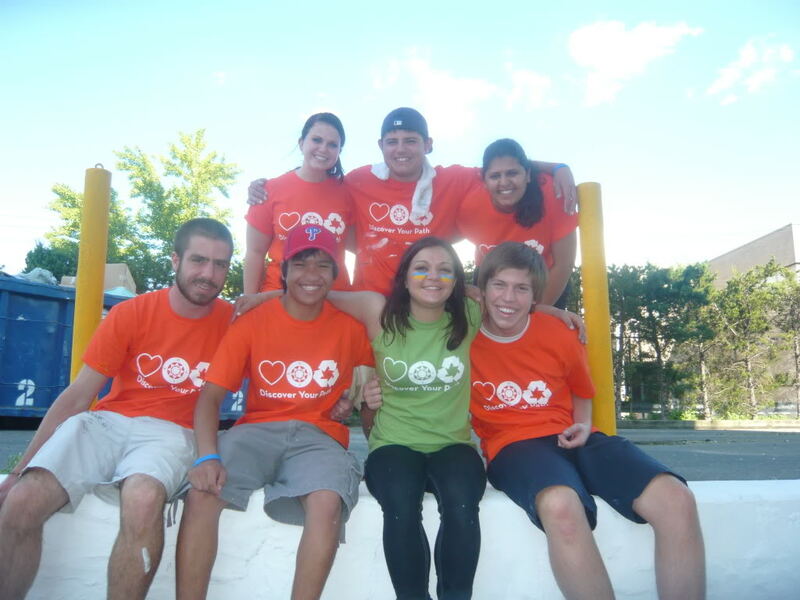 Hofstra Intervarsity was also the proud winner of the 2013 Religious Club of The year Award and we hope to continue the great work in the upcoming year. “Hey, I just met you, and this is crazy…” Remember this ear worm that you could not get out of your head last summer? (Okay, I will admit that I kind of like the song.) Well, within the Division of Student Affairs over the summer months, our tune is call me DEFINITELY! What am I talking about? Well, in addition to all the great initiatives in place to welcome our new students described in the previous blog entry (New Student Orientation, Discovery Program, Welcome Week), we also engage in a calling initiative. That is, every single new Hofstra first-year student receives a phone call from a member of the Division of Student Affairs. Our goal is to welcome each member of the class of 2017, answer any questions they may have, and make a personal connection with them. We want each student to know that we value them as an individual and they are not just a number in the crowd. Jenn Christ, Director of the Multicultural & International Student Programs Office, welcomes new students to Hofstra. Speaking of numbers, we are reaching out to over 1600 students who are part of the incoming class, which means there are a lot of phone calls to make! Luckily, many staff within the Division pitch in to accomplish this task. For example, new students may be hearing from staff from Residential Programs, Student Counseling Services, the Dean of Students Office, or even from the Vice President for Student Affairs herself! So to all you new students out there, when your phone rings, it may just be a member of Hofstra’s Division of Students Affairs. If they say “here’s my number,” call them back- DEFINITELY! We're getting excited for the arrival of New Students!!! 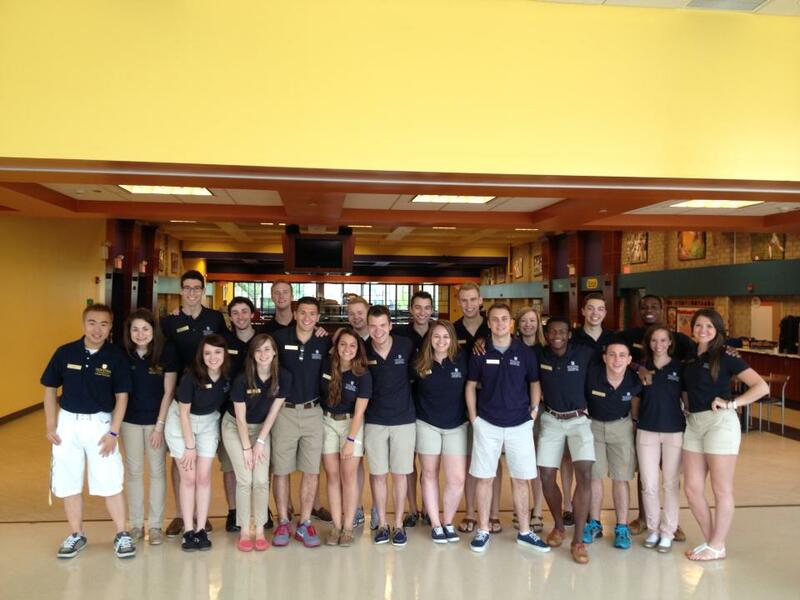 The Office of Student Leadership and Activities (OSLA) has already been preparing for the arrival of our new students! We have been planning New Student Orientation, Discovery Program, Welcome Week and other events for the Fall to welcome our new students! Hopefully our new students are getting ready for these programs and thinking about all the ways they can get involved for the Fall as well! 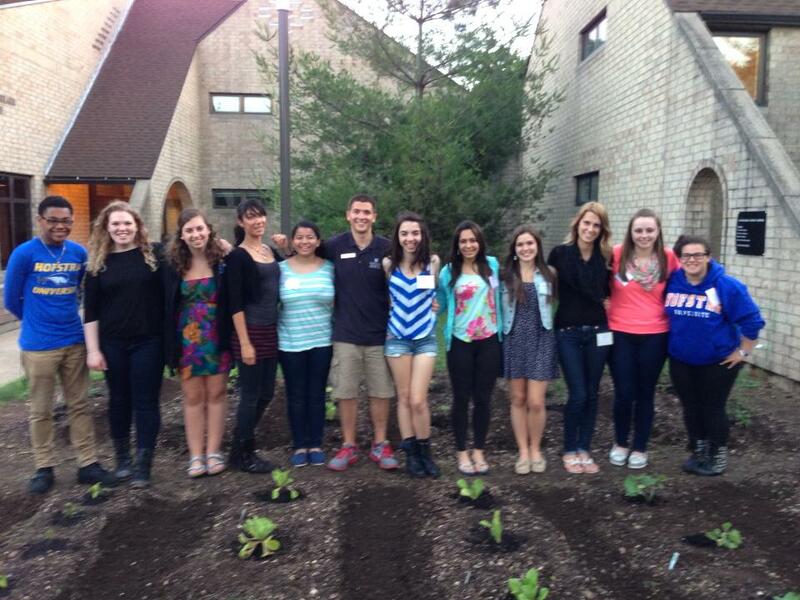 Today our Orientation and Welcome Week student staff departed for their two day retreat off campus. The OLs are finalizing all their plans and getting ready to see their first group of students on June 11! 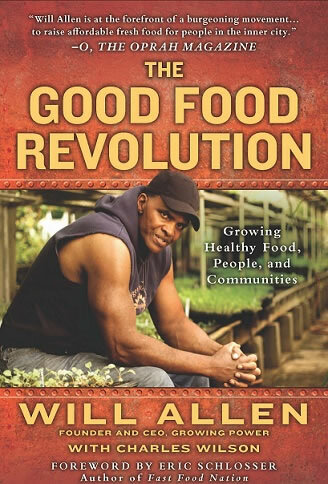 The WWC staff will be picking their theme for Welcome Week and finding lots of awesome ways to incorporate the common read, The Good Food Revolution by Will Allen, in to the programs they offer throughout the five days of Welcome Week. The OSLA staff is also finalizing plans for the Discovery Program which is a five day optional, interactive program where students get to interact with their peers, upperclassmen leaders, faculty and administrators. This year OSLA is working in collaboration with the Department of Recreation and Intramural Sports to add a new 4th track called Outdoor Exploration. Information on these programs and a sample schedule and activities can be found here. If you have questions about how to sign up you can contact the OSLA office at 516-463-6914 or, check out the application here. you throughout the five days of welcome week (August 29-September 2). Highlights include Will Allen, the common read author, coming to speak on Friday, a Class Celebration on Thursday evening after a welcome from our Hofstra president, Explore Next Door trips throughout the weekend along with many other exciting, educational and fun programs planned by Hofstra students. If you have questions about Welcome Week feel free to call our office at 516-463-6914 or, check out last year's schedule as an idea of what fun programs lie ahead! We hope you are as excited as we are to join the Hofstra family. Please take advantage of all we have to offer throughout the summer and in to the Fall semester. See you soon on campus!